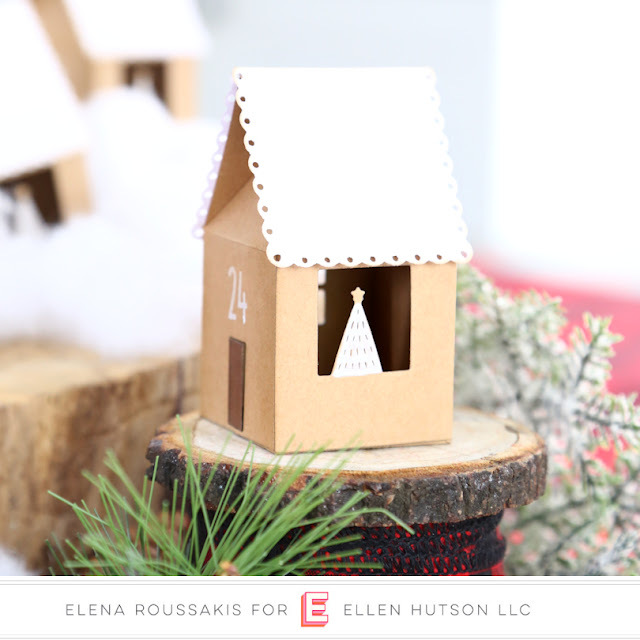 I'm here and on the Ellen Hutson blog today, with a special advent project featuring the new EBE House Box die, which will be available for sale in just a few more days! 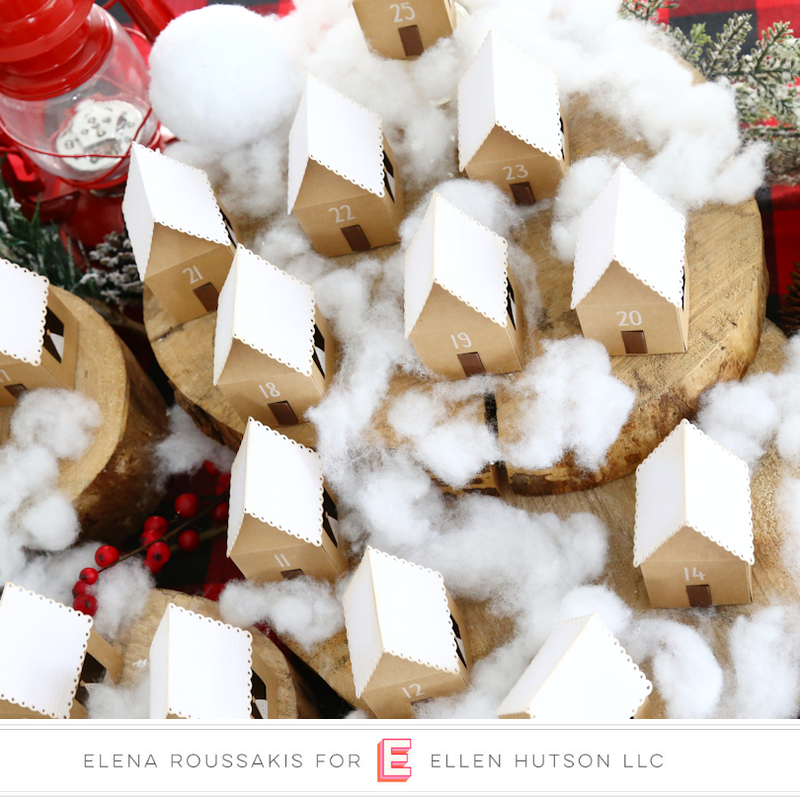 I had so much fun making them all, and pulling out some of my Christmas decor to stage them! I was so pleased to find out that I could cut 2 boxes from an 8.5x11inch sheet of cardstock. I cut them out of kraft-colored cardstock. 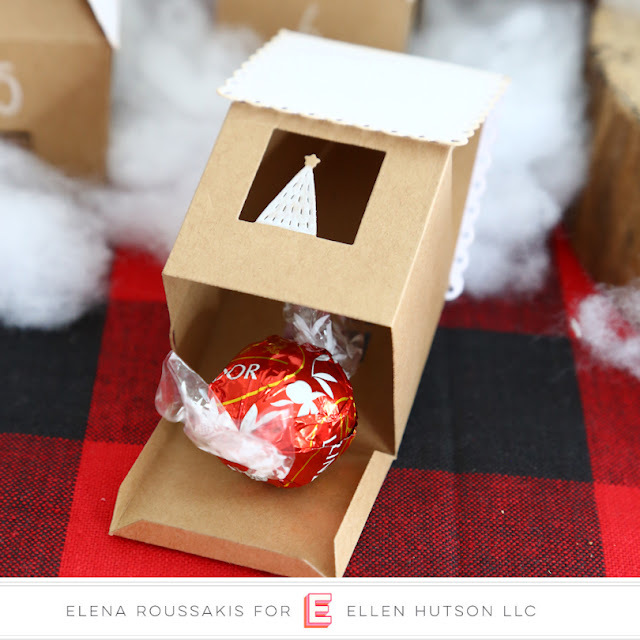 I toyed with the idea of cutting them out of white cardstock for a more minimal look, or even red with white roofs for a more Scandinavian feel, but I felt like this matched my usual woodsy Christmas decor the best. Once the base of the box was cut, I used some of the smaller die pieces to add a window to one side, and this Christmas tree open window to the other side. I cut a hinged front door as well. I used a white paint marker to color the Christmas tree, and a brown copic marker to add color to the front doors. I used some Lawn Fawn white woodgrain cardstock to cut panels for the roofs, using a scalloped rectangle die. I also stamped the numbers onto each box using Lawn Fawn's yeti ink and Celebration Countdown stamp set. 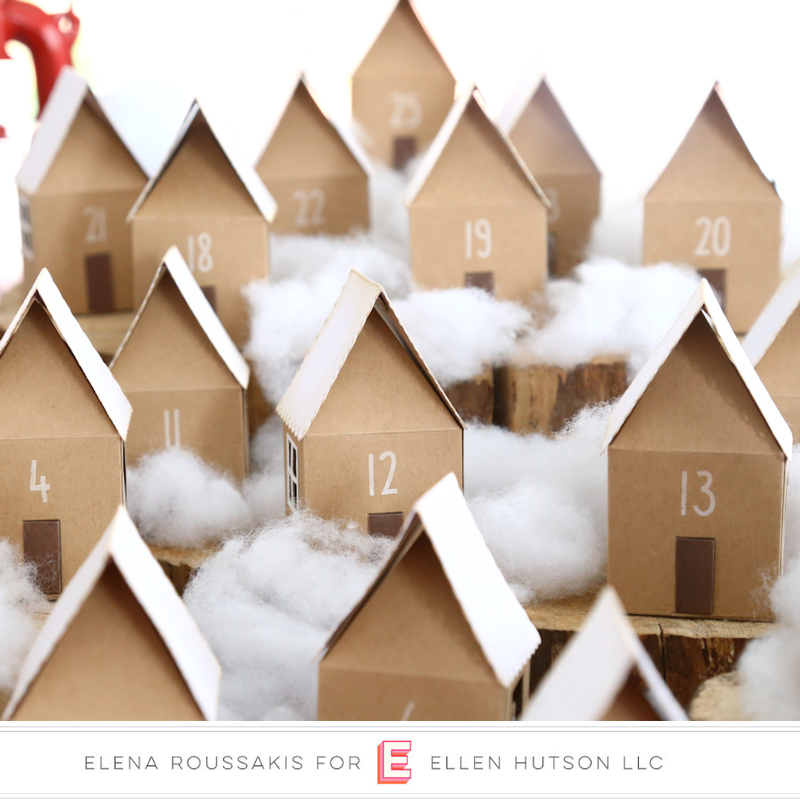 One final detail: I used the little window die and cut an extra window out of white cardstock for each house. Then, I cut it out using scissors and made myself a little window frame for each house. I love the extra pop of white that it gives! The boxes open and close from underneath. 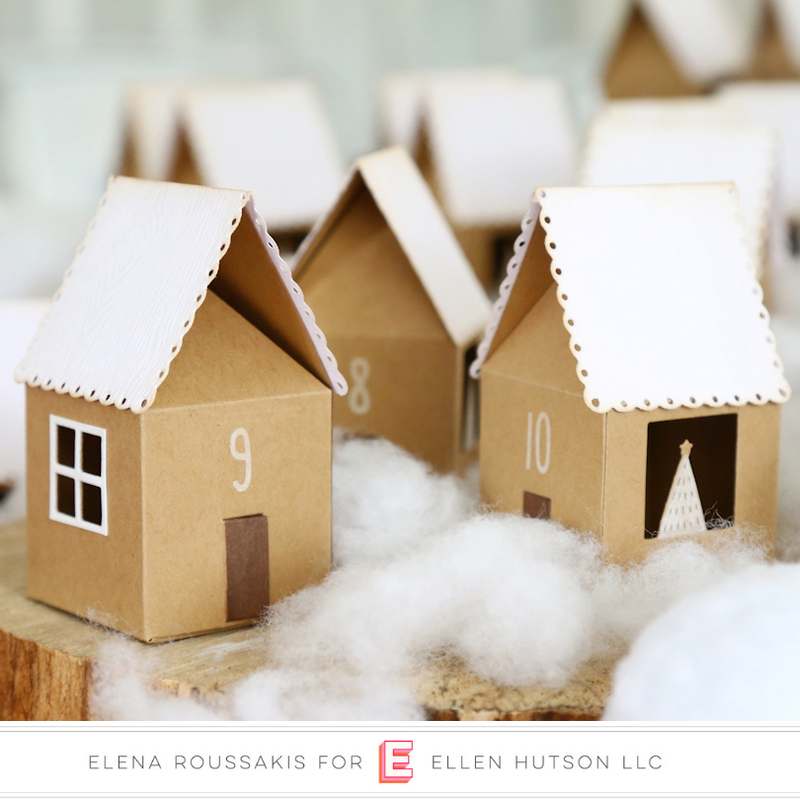 It's so easy to slip in the chocolate or little toy that you will be giving out for each day! I hope you like what I've created for you today - I just think they look so magical all together! 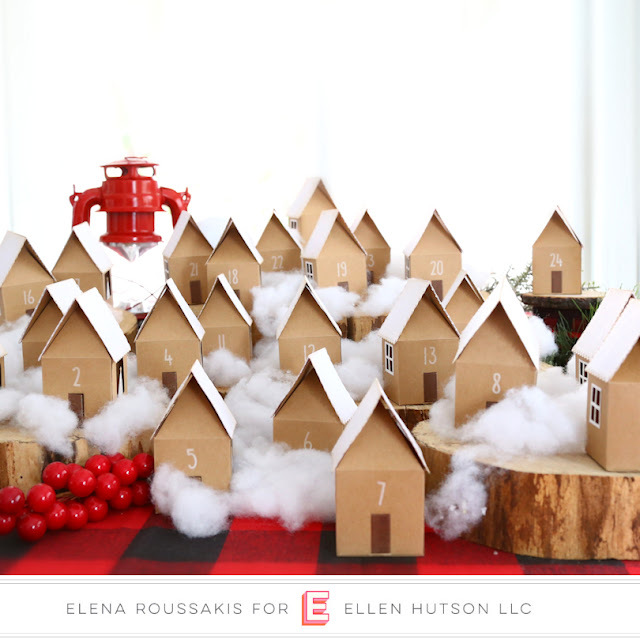 These are so festive and super fun, Elena!!!! Love them! I love this. LOVE LOVE LOVE this. So much! Thank you!!! XOXOXO!! !